LAT-Easysign™ is a low cost digital signage software that can run on any idle public PC or dedicated digital signage TV. LAT-Easysign™ will replace your library signs and posters with digital signage. If you are already using digital signage displays, you will love this easy to use digital media player to schedule and organize slides for your playlist. The software is 100% cloud based and will automate your digital signage content. No more plugging in your powerpoint presentation with a USB or thumb drive. 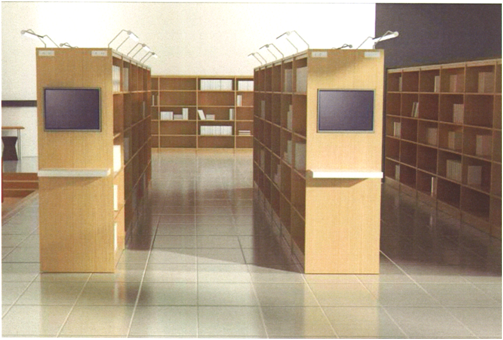 LAT-Cube™ is a self service kiosk for books, and a DVD and CD dispenser, all in one. There is no need to buy additional DVD security cases. CD and DVD storage can hold 3-4 times its capacity depending on your circulation. 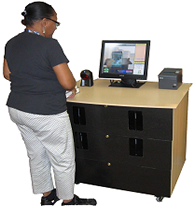 The Cube is an affordable library self checkout system that does not require expensive RFID and allows patrons the ability to easily and quickly self check-out. LAT-Stena™ ia a media storage solution that will stop stolen DVDs in your library. It is a CD and DVD storage organizer that is stackable, compact and placed behind your library circulation desk. These DVD storage boxes can hold 3-4 times their capacity depending on your library circulation. 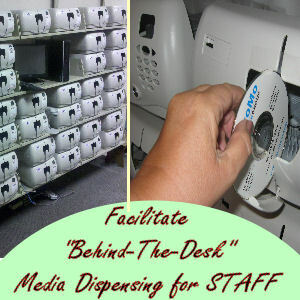 Save your staff hours of time filing back into CD and DVD binders. 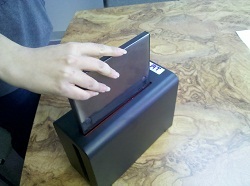 LAT-Leap™ is a library self checkout system that is low cost and compact. It is designed to be attached to a tabletop, wall or any piece of furniture currently in your library. Leap does not require an RFID system, but it’s completely compatible, and can read any RFID tag or RFID label in your library. There are practically unlimited capabilities for desensitization, language choices and register checkout options. 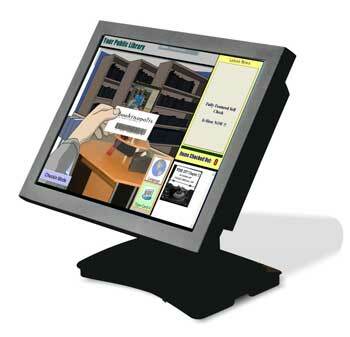 Regardless of form-factor, deliver a unique software / hardware platform that allows fully integrated and interactive access to not only the OPAC but ALL of the library's resources through a single device. LAT-Easysign™ is a low cost digital signage software that can run on any idle public PC or dedicated digital signage TV. 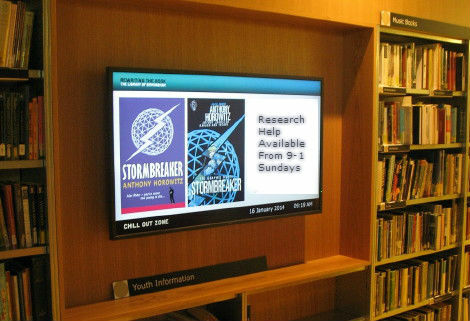 EasySign will replace your library signs and posters with digital signage. If you are already using digital signage displays, you will love this easy to use digital media player to schedule and organize slides for your playlist. The software is 100% cloud based and will automate your digital signage content. No more plugging in your powerpoint presentation with a USB or thumb drive. LAT-release™ is a DVD/CD security case opener that can be added to any system or integrated into any LAT library self checkout system. Your patrons will love how fast and easy it is to self checkout … and your staff will love it too! 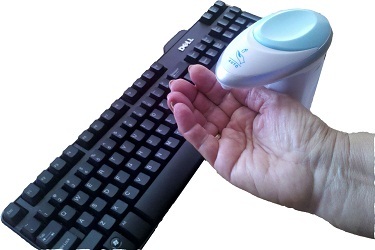 qkCLEAN™ prevents using the keyboard of the computer it is attached to until is senses and dispenses hand-sanitizer to the patron, thereby ensuring that public keyboards are germ-free. .All of LAT's systems are fully RFID field-upgradable at any time. LAT uses open industry RFID standards to customize each upgrade according to an individual library's needs and does not push proprietary tags or gates.. Talk to us about your needs and requirements. Enhance any library PC with powerful tools to facilitate easy patron access to any of your resources, databases, wayfinding, marketing, emailing, OPAC and a lot more. 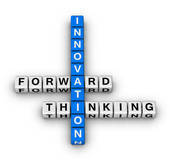 Considering RFID? Wondering if it's even right for you? Contact us for a free consultation. 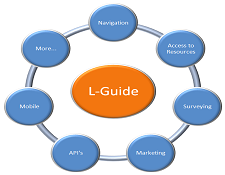 News: LAT introduces L-Guide™ Technology to empower user desktop. News: LAT begins full production on allCIRC-Cube™ - the next generation of allCIRC™ Technology. We fully realize that no two customers are the same and needs vary. Talk to us to see how we can customize any of our products to fit YOUR needs.